St. Gemma Galgani was a Passionist Saint who found meaning in her sufferings because she could unite them with the sufferings of Christ on the Cross. St. Gemma’s deep and abiding love for Christ Crucified embodied the spirit of our founder, St. Paul of the Cross. 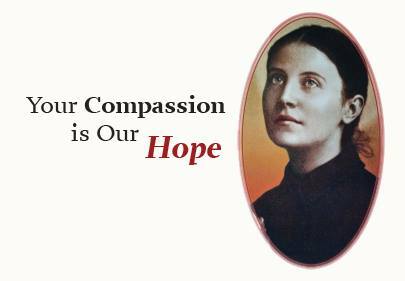 Read more about the life of St. Gemma Galgani here. The St. Gemma Circle of Giving is a way to steward your gifts with great consciousness. Donations made through this program will help support ministries such as seminarian education, the care of our senior Passionists and our mission in Birmingham, Alabama. The St. Gemma Circle of Giving program allows you to easily make a gift to the Passionists in regular installments from a credit card or checking/savings account. • A yearly Mass offered on May 16th, the Feastday of St. Gemma, for your intentions. • The satisfaction of knowing that you are supporting the Passionists! If you would like to become a member of the St. Gemma Galgani Circle of Giving, please complete the form below with the gift amount you would like charged to your account. All gifts will process on the 20th of each month. For additional information or to join using EFT, please contact Angela Kwasinski at [email protected]. Error: Error validating access token: Session has expired on Monday, 18-Mar-19 14:16:37 PDT. The current time is Thursday, 18-Apr-19 17:22:34 PDT.